When you’re in Malaysia, it’s easy to look for the halal logos on restaurants and food items, certified by JAKIM. We’re fortunate over here; Malaysia’s take on the halal industry has actually been emulated worldwide and according to the Minister of International Trade and Industry Datuk Seri Mustapa Mohamed, Malaysia has been assisting other countries and worked with their halal bodies in terms of getting halal certification. But what about when you’re in a foreign country? In America itself, non-Muslims are opening up to the idea of halal food through the halal food trucks that they have there. But until the concept of halal takes a more global place (and let’s be real, they’ll probably have to overcome the stigma of Islamophobia first), there is a real need for Muslims overseas to have more accessible halal food. 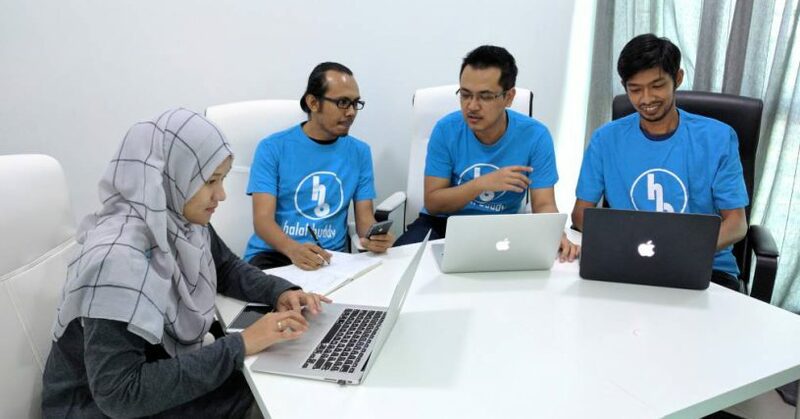 And to put a dent in that problem, HalalBuddy is a Malaysian-developed app that scans through the food’s ingredients to tell if the food is suitable for consumption. Right now, I can already hear some Muslims rightly wondering: what’s the difference between HalalBuddy and existing apps like ScanHalal or Check Halal? For one thing, those apps are developed to check if the food or restaurant is halal-certified. Meanwhile HalalBuddy is intended to scan food that doesn’t have a halal certification but may still be completely halal for Muslims to eat. Founder and CEO Suhail Azmi says that he came up with the idea for HalalBuddy thanks to his sister’s own struggles while she was studying in Glasgow. As it happens, Suhail himself was working on his Masters in Computer Vision. But he only really started to work on HalalBuddy after he had worked in Petronas for 3 years and realised that no one else was going to work on it if he didn’t. So he tendered his resignation, went to pitch the idea and won a grant from Skim Permulaan Usahawan Bumiputera (SUPERB) 2015 Q3.